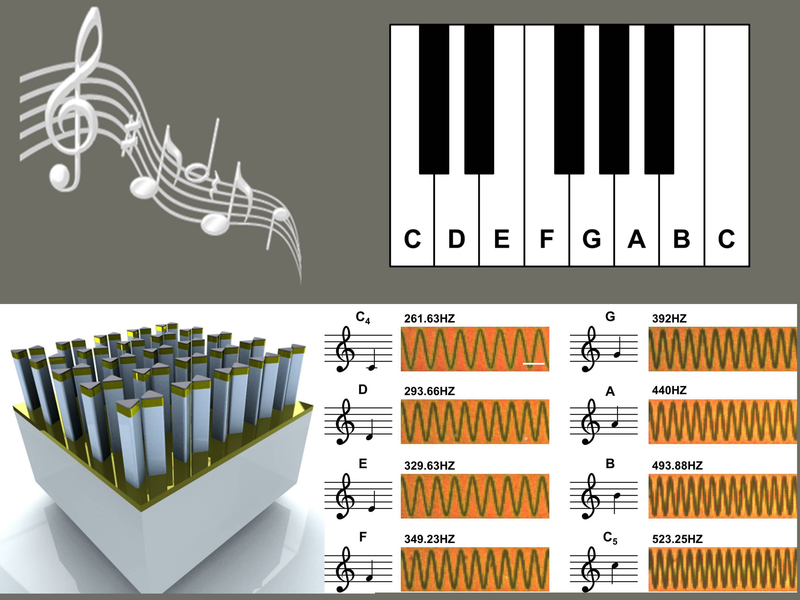 Researchers from the University of Illinois at Urbana-Champaign have demonstrated the first-ever recording of optically encoded audio onto a non-magnetic plasmonic nanostructure, opening the door to multiple uses in informational processing and archival storage. “The chip’s dimensions are roughly equivalent to the thickness of human hair,” explained Kimani Toussaint, an associate professor of mechanical science and engineering, who led the research. Specifically, the photographic film property exhibited by an array of novel gold, pillar-supported bowtie nanoantennas (pBNAs)—previously discovered by Toussaint’s group—was exploited to store sound and audio files. Compared with the conventional magnetic film for analog data storage, the storage capacity of pBNAs is around 5,600 times larger, indicating a vast array of potential storage uses. In addition to Toussaint and Chen, co-authors on the PROBE team include Abdul Bhuiya and Qing Ding both graduate students in electrical and computer engineering. Contact: Kimani Toussaint, Department of Mechanical Science and Engineering.